Hi there, thank you for the 0349 system n direct nos. 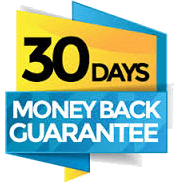 Sign up for free 4d ebook and 4d prediction trial. I am from KL and had been a platinum member. I join since 2016 but wasn’t regular since last year. Yes I won $3 big first prize . This is really happy day for me becos at the same time of my oversea traveling day . I am now can enjoy spending during my vacation . Thanks and wish to have much much more coming soon . 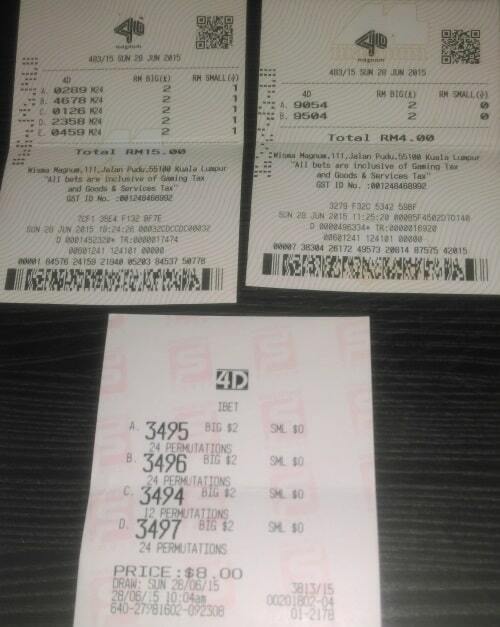 Interested to start winning direct 4d number / system 4d number; with the potential to win the 1st prize up to $2000? I became a platinum member. 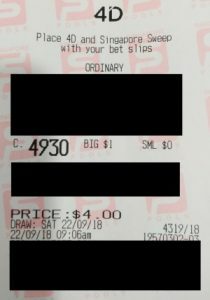 Barely a month after I joined I won $9000 when one of your top 4 predictions 5789 came out 1st prize on 11 December draw. Thank you very much and hope you keep predicting many many more winners. 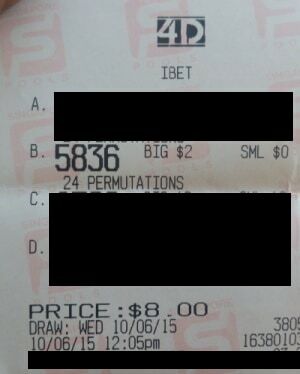 Here’s a picture of my 2nd prize winning ticket from Jackpot system. 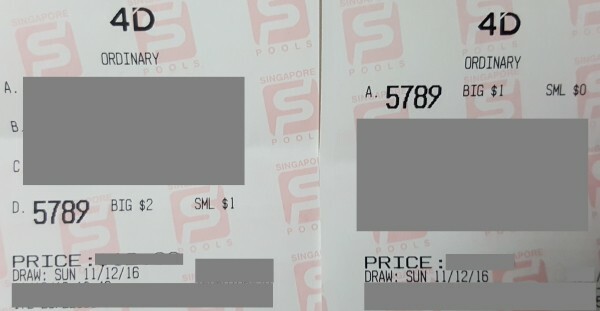 3 March $2000 Jackpot Direct Number winning 1st Prize Ticket from one of our happy member Anne!! 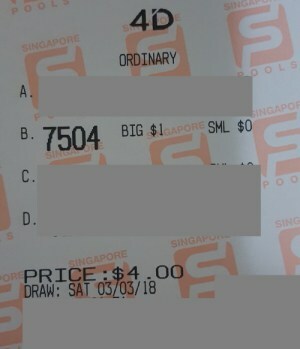 1st Time Buy and hit 1st Prize 4D! I have provide the online ticket attached in the earlier email. 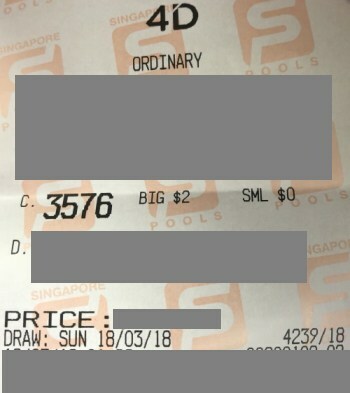 Bought online from singaporepools website. First time buy and hit 1st prize. Bought system for the number. 5th Sep – 0453 was a direct hit in consolation. First time playing and won consolidation. Hope to win again. 6th Sep- 1675 was a direct hit in starter. 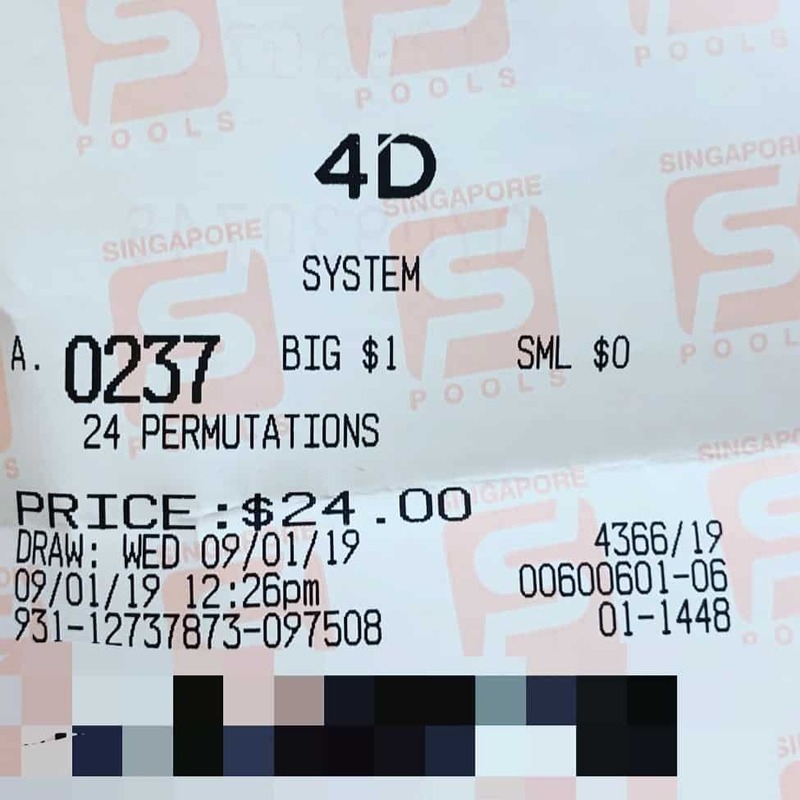 First time I strike Singapore 4d I bet 3496. Cons. And magnum4d I strike I box 0459 and direct number 9504 .starter .Thank you so much. Next coming draw I hope to win more. . Yesterday was my strike 4d again after many years. Although its just a small amount on ibet but I’m happy. 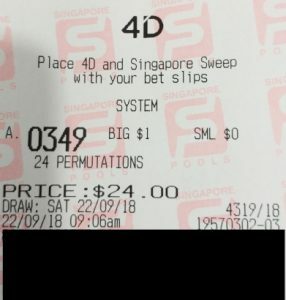 I have started playing 4D again since 2 years I tried to bet own numbers but it always wont open. I went to many self proclaim masters and Guru. In the end it did not open even 1 a year not even ibet. My recent encounter was with another 4D Gurus. I played in the beginning was 3 months then 6 month nothing open at all. After that I try to tahan for 1 year end up and gave up totally. I kept searching and searching until I manage to type in google is there a way for 4D winning? 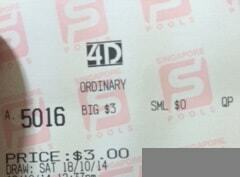 It showed 4DinSingapore. I was skeptical as many 4D sites also claim the same thing. But within 2 weeks to 2 months I was proven wrong. After I joined as Platinum member I won 6 ibets some is 2nd and 3rd plus starter. I cant believe it. Your predictions are so accurate I tried telling my friends and relative that I won but they say if its so good you wont have to give 4D and be rich. I even argue with them I say 4D master here wants to help everyone. Nobody believes me when I win 6 ibets a month they say is by luck. Look man I dont know how you do it but I am just mindshocked at how power it is. Even the results page I see wah lao every draw at least got some open. I am really greatful even I dint win big but its enough to tide me thru when I am out of job. 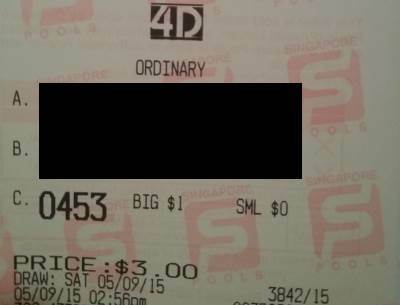 Thank you Master 4DinSingapore the number one and only choice when it comes to 4D prediction.